To say that we get more than our fair share of snow in Colorado would be stating the obvious. While most U.S. cities get about 25 inches of snow per year, Boulder averages around 83 inches. So, if you have lived in Boulder for any amount of time, you understand the kind of hassle that goes along with all of that heavy snow. Icy driveways and walkways are only a small part of that equation, but they are a significant inconvenience for local home owners. If you’re not out shoveling the snow yourself, then you probably live with the ongoing expense of having someone else do it for you. It’s a chore that we have all come to accept as a normal part of the colder months, but like most of life’s modern dilemmas, technology has presented us with a very feasible solution. Snowmelt systems operate in a way that is similar to the heated flooring that is installed in the interior of a home, and they make winter’s most dreaded chore a thing of the past. Snowmelt systems are available in two forms: electric and hydronic. With electric systems, a current is used to generate heat across a network of cables that have been installed below the surface. Hydronic systems run hot water through a series of tubes and pumps and across the area that needs to be heated. The general idea for both types of snowmelt systems is that they keep the surface warm enough to prevent snow from accumulating as it falls. They can also help to clear snow that has already built up on your driveway or walkway, as the name suggests. In addition to driveways and walkways, these systems are very useful for patios, stairways, wheelchair ramps, and just about any other paved surface you can imagine. For those who are interested in making their home more marketable for a possible sale in the future, this is a smart value-added investment. Unfortunately, installing one of these systems is a bit too complicated for the average do-it-yourself enthusiast. 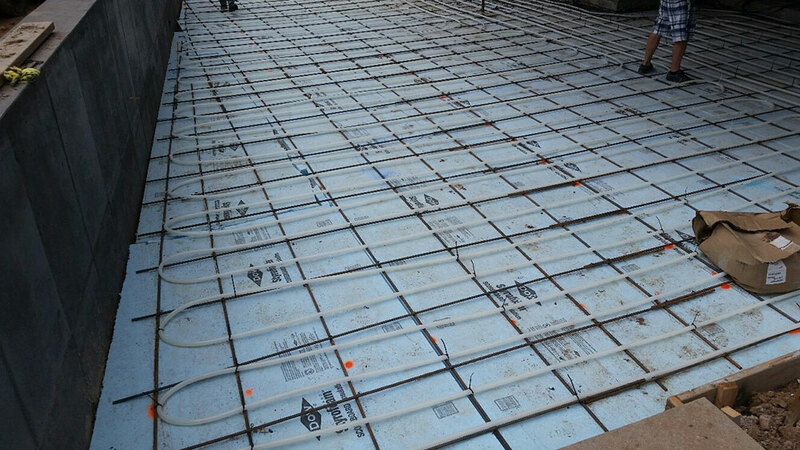 Installing a snowmelt system in a new construction is obviously ideal, because there is nothing in the way of laying the necessary cables or tubing. However, many homes in Boulder have been around for years or decades – long before these systems were first introduced. So, the most common type of installation is performed by either demolishing the asphalt or concrete altogether or cutting grooves into the surface and then refilling them once the underlying structure has been laid. All of that trouble is well worth the benefits of the system, though. You’ll pay less for snow removal and property maintenance, and you’ll preserve your driveway’s surface by reducing exposure to salt and other harsh chemicals. Therefore, if you’re looking for a way to add value to your home while also saving some trouble for yourself, a snowmelt system is definitely something to consider. Because concrete or asphalt is required to set for a minimum of 30 days prior to first turning the system on, summertime installations are recommended, which means you have plenty of time to plan before warmer weather comes back around.